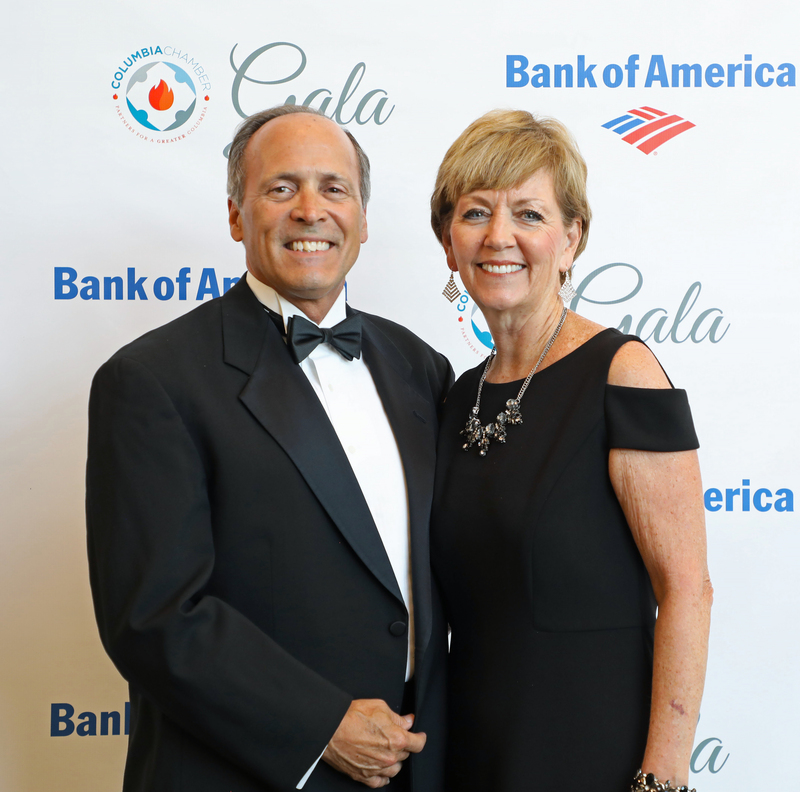 Photo of Steve Doyle and his wife, Pam, at the 117th Annual Gala. The Chamber would not be able to serve its Partners to the best of its ability without the help of our volunteer group, the Diplomat Link. Learn more about what they do in this Q&A with Diplomat Link Chairman Steve Doyle. Q: How long have you lived in Columbia? A: I came to Columbia in 1982 for graduate school at USC. I earned my MBA in 1984 and stayed here until my job moved me to San Diego in 1995. I got the opportunity to return here in 2006 and have loved it since. Q: What business do you own? A: I own two CPR Cell Phone Repair stores. We are located at 5551 Sunset Blvd. (378) in Lexington across from Walmart and at 506 Gervais Street in the Vista on the corner of Huger and Gervais next to Hertz. If you have any repair issues with your phone, computer or tablet, please call us: 803-490-2287 (Lex) or 803-779-5300 (Vista). Q: How long have you been a Chamber Partner? A: I have been a Partner with the Chamber and involved with the Diplomat program for almost 3 years. Q: What made you want to join the Chamber? A: I wanted to get involved in the business community and looked at all of the great networking opportunities and connections available through the Columbia Chamber as the best way to do it. Q: What is the Diplomat Link? A: The Diplomat Link is a volunteer organization that helps the Chamber staff make contact with new and existing Partners with the Chamber. As the current Chairman of the Diplomats, I encourage all partners to look at getting someone in their organization involved in the Diplomat program if they truly want to expand their networking reach. We meet monthly on the first Wednesday of every month to pick up new partner connections. Each Diplomat then makes contact with their chosen partners through one of three methods: personal visit, phone call or email. We ask the Diplomats to help Partners maximize their membership with the Chamber and to provide candid partner feedback back to the Chamber staff. At our monthly meetings we have lunch and discuss what Chamber sponsored events are coming up that need to be promoted and supported. The meeting generally lasts about one hour. Please email myself or Chelsey Allen for more information about the Diplomat Link. Q: How has being a Chamber Partner and Diplomat affected your small business? A: It has been a very positive experience. The Chamber staff has been tremendous to work with and very supportive. I believe that the networking opportunities provided by both have been instrumental in helping my CPR Cell Phone Repair sales increase in each of the last three years. Q: Favorite things to do around Columbia? A: Of course, a favorite thing to do is attend all of the monthly Chamber Partner Engagements! My wife, Pam, and I have a great time networking at the Partner Engagements and have never had anything less than a fantastic time meeting new and existing partners. We also love listening to live music and try to hit some of the local venues like the Senate, Tin Roof and Pearlz Upstairs. We live in Chapin, so we also never miss a chance to spend time on the water at Lake Murray. We look forward to hitting Catfish Johnny’s, Drift Jam, and Reggaetronic this summer for music on the water! The Chamber would like to thank the entire Diplomat Link for their hard work and dedication to our Partners. To learn more about the group, please visit the Chamber website or email Chelsey Allen.